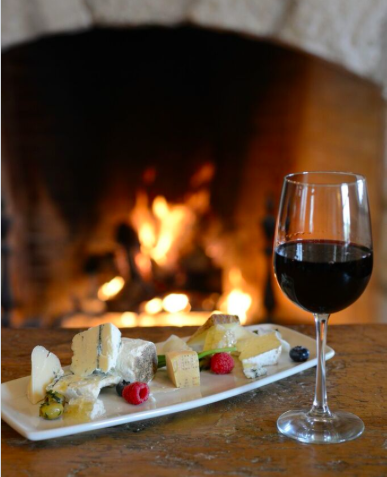 Spend the the New Year in the Texas Wine Country! From Austin to Fredericksburg, there are now more than two hundred wineries in Texas with many of the wineries offering tasting events and premium tours. Fall Creek Vineyards, Driftwood Estate Winery and Salt Lick Cellars are all within 30 miles of Sage Hill, providing the perfect way to spend an afternoon while enjoying your stay at Sage Hill. Don't want to leave the Inn? As you may know, toward the end of last year we received our wine & beer license and now feature a selection of wonderful Texas Hill Country wines, a few of our favorites from California, as well as some specialty craft beers like Solid Rock Dauntless IPA, Shiner Bock, Shiner Blonde, even cider from Austin East Ciders. Selections from our beverage list pair beautifully with many of our menu items, including our artisan cheese plate prepared by Chef Autumn. Enjoy your beverage of choice fireside in the restaurant or relax on our front porch and enjoy a glorious Texas sunset!